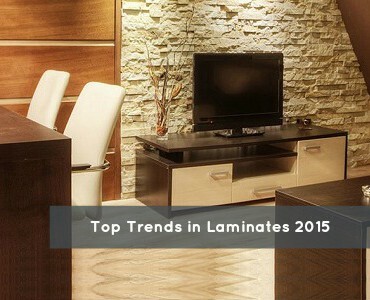 Laminates are artificially produced material from paper and resins. They are quite popularly known as sunmica. Such decorative laminates are fixed on substrate, mainly plywood to get attractive surfaces that have multiple uses these days. Laminates are a preferred choice because of various factors such as price consideration, high/low ambient temperature resistant, durability, scratch –resistant and usually retain their look for years. Laminates are also easier to maintain. Laminates that are available in the market today have various designs that are made by printing patterns on paper and that is how decorative laminates are made, therefore a wide variety is available for one to choose from. 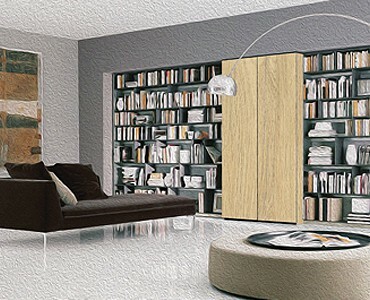 Lending an elegant touch to all products, laminates are available in numerous design patterns, colours and textures .Innovations in the laminate industry also include real wood feel laminates (used largely as substitutes to veneer) in which patterns are like wood with natural feel according to the customer's choice. Laminates are hugely popular in commercial spaces like offices since they are fuss free and easy to maintain feature. Workstations are by far made using laminates to handle greater wear and tear. Depending upon the manufacturing process, laminates can either be low pressure ones or high pressure laminates. There is something called compact laminates that do not need any base, that is they are self-supporting ones such that they do not need to be glued to any surface. Anti-bacterial & Anti-fungal laminates are used in places like hotels and hospitals where hygiene is extremely important. Thus based on applications too laminates are classified and made available. Another worth mentioning quality of laminates available these days are fire retardant ones. Special chemical treatment is applied to these laminates that delays temperature rise so that these can be also effectively used in kitchens & other high traffic areas like multiplexes. They are economical and can be used with other materials to enhance the aesthetic appeal. 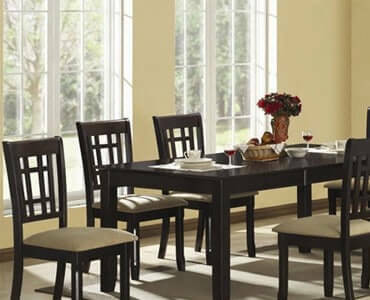 Since laminates are so easily available and in such a wide range there is minimum wastage too! Let us have a look at how laminates can be used effectively to style your home. Shelves: Wall shelves in bathrooms, kitchen, and bookshelves are other common application areas for a laminate. Modular cabinets: These days’ kitchen cabinets have plywood topped up with decorative laminates for a better appeal and durability. Wall highlights: Wall paneling is the new décor accessory these days. Even the ceilings are covered with patterned and textured laminates. It gives a whole new dimension to the otherwise boring walls and ceilings. Similarly in the bedrooms too, the wall behind the bed can be highlighted using laminates that also act as a headboard. They can even be used to create partitions that not only have functional appeal but also look aesthetic. There are various tests that are performed on laminates to test their suitability to various adverse conditions. 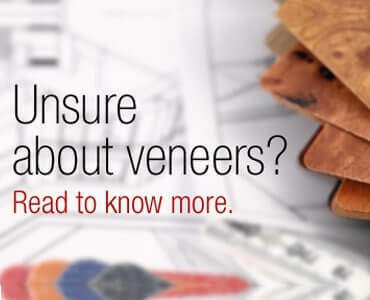 Since laminates are fixed on a substrate, they need to protect the underlying surface too. So your architect or designer can suggest the best available laminate in the market today that will suit your pocket and stand out in long term. Go for branded laminates and you won’t be disappointed! They can give a unique touch and class to your home décor.